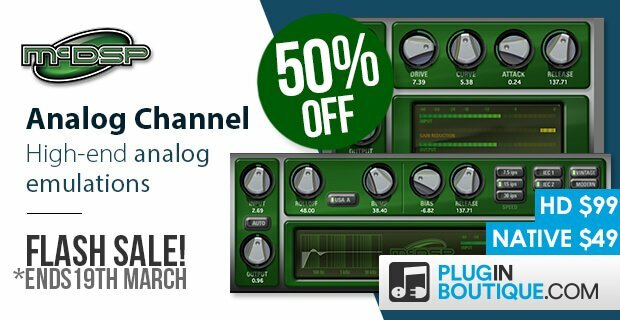 Plugin Boutique has launched a sale on the Analog Channel by McDSP, offering a 50% discount for a limited time only. 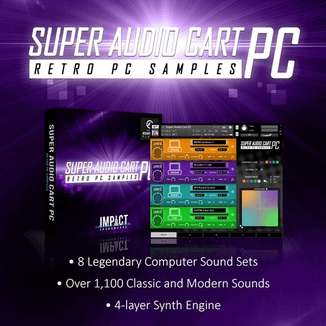 Analog Channel comprises 2 plugins that emulate the sounds of high-end analog tape machines, tape, and channel amplifiers. The AC101 configuration acts as a digital pre-amp allowing even excessive amounts of gain without digital distortion. A drive control determines where the audio “sits” in the saturation/compression region, and even the attack and release times of the distortion character are adjustable. The AC202 configuration emulates analog tape machines. In addition to standard tape machine parameters such as bias, playback speed, and IEC1/2 equalization, AC202 offers controls well beyond the limits of the reel-world devices including adjustable low frequency roll off and head bump – independent of playback speed. 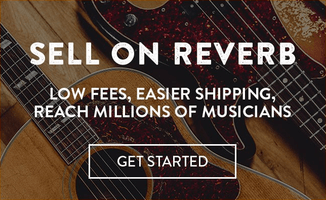 The user can select from several playback head types, tape formulations, and even control the tape saturation recovery time. Analog Channel is on sale for $49 USD (Native) / $99 USD (HD) until March 19th, 2018.